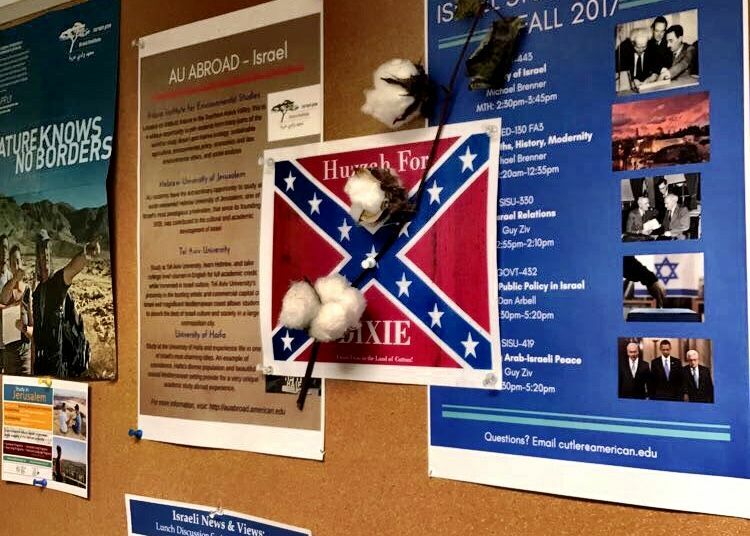 When someone posted racist flyers around American University this week, residents in another D.C. neighborhood paid close attention. 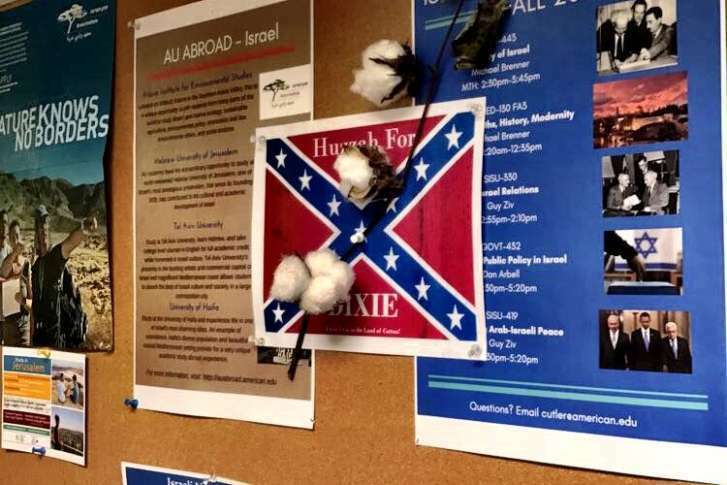 WASHINGTON — When someone posted racist flyers around American University this week, residents in another D.C. neighborhood paid close attention. That’s because back in August, similar derogatory flyers were left in the Takoma neighborhood. “There are great similarities between the two incidents,” said Brandon Todd, council member for D.C.’s Ward 4. Between the last week of August and the first week of September, a man who was caught on surveillance footage wearing construction clothing is accused of distributing bigoted flyers in his neighborhood, Todd said. Scot Knickerbocker, advisory neighborhood commissioner for Takoma, said he also noticed similarities in the flyers posted at the university and the ones found in his neighborhood. “All of those flyers contained the same logo that’s on the back of the AU flyers and the name D.C. Counter resistance,” Knickerbocker said. He said the flyers were left in his neighborhood on Aug. 23, Aug. 25 and Sept. 5. 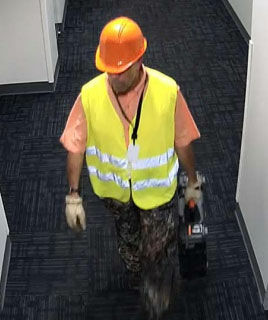 During the final visit, Knickerbocker said a man wearing a hard hat and vest was caught on a resident’s security camera posting the flyers . When the flyers appeared in his neighborhood, he and other residents teamed up to remove them and notified police, he said. So far, police have not connected the Takoma and AU cases. Todd said his message to the person or people responsible for the flyers would be to stop spreading hate. “It’s not wanted in our ward, and it’s not wanted in our city,” Todd said. Knickerbocker said he understands this may only be a case of free speech in the end, but he and others in his neighborhood plan to be on the lookout and ready to act if more are posted. “We’re just going to take them down and dispose of them,” he said.